As predicted, with the launch of Jio’s Dhan Dhana Dhan offer, the tariff war in India has intensified yet again. Yesterday, we reported that India’s leading telecom operator would provide 70GB of data along with unlimited calls for users at just Rs. 244 for ten weeks. 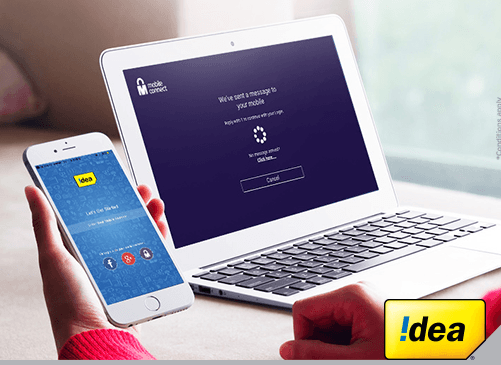 Today, we have yet another exclusive information, but this time the offers are coming from Idea Cellular. According to our sources, Idea will roll out two new plans of Rs. 297 and 447 for segmented users in coming days. The Rs. 297 plan will offer unlimited Idea to Idea local and STD, coupled with 1GB of 4G data per day for 70 days. The Rs. 447 plan will also provide the same benefits, but it will provide unlimited calls to any network across the country. Unlike the Airtel plans, the Idea ones come with some voice calling limits. The Rs. 297 plan will limit the voice calls to 300 minutes per day and 1200 minutes per week. After the daily FUP, users will be charged at 30paise/minute. The Rs. 447 plan also come with some limitations. Idea is limiting the voice calls to just 3000 minutes for 70 days, which is underwhelming as other operators are providing unlimited calls to any network without any FUP. Post the 3000 minutes; users will be charged at 30paise/minute. Furthermore, users should have a 4G handset and 4G Idea SIM card to be eligible for the offer. If a customer does not have a 4G handset or SIM card and tries to recharge with the any of the pack, the recharge will be failed, our sources claim. Also, according to our sources, Idea has already started sending SMSs for eligible consumers. There’s a huge possibility that users who have earlier recharged with the Rs. 348 plan will surely qualify for any of the scheme mentioned above. These offers from Idea are in-line with the what Airtel is offering, but its plans are priced higher than that of the latter. For the unknown, Airtel is offering the same benefits at Rs. 244 and Rs. 399 respectively and has no limitations for voice calls, whereas Idea is restricting voice call usage. Which operator’s plan do you think is the best: Airtel or Idea, and did you receive any of the offer messages from Idea? Let us know in the comments below.